It pains me to see food misused. I once nearly keeled over while watching a cooking-show host take some very fine lobsters, remove all the meat from the shells, then puree it, mix it with other stuff and pour it into a baking dish. Oh! what a terrible way to treat beautiful, succulent lobster meat! Similarly, I was shocked to see on another show a vendor at an open-air market slicing all the leaves off an artichoke to reach the tender (and yes, delicious) heart. Oh! what a waste of tasty leaves! 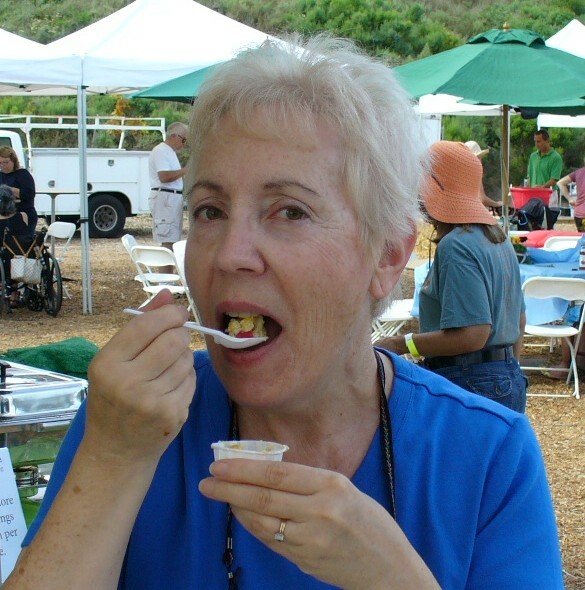 The San Dieguito Heritage Museum in Encinitas is holding its free annual festival from noon-4 p.m. Oct. 8. That’s this Saturday. If you’ve been checking out my posts, you know I keep returning to certain themes: Thrift in the kitchen. Eating real food. Preparing food yourself so you know what’s in it. So in this season of salads and cold dishes — and especially for the picnic-happy holiday that is July 4 — I wanted to bring you a recipe that hits all those notes. It’s spring, so let’s eat some flowers! Tofu Lettuce Tacos With Cilantro And Mint from “Edible Flowers” by Kitty Morse. Photo by Mike Pawlenty. I’ve been smelling the delicious scents of just-opening flowers on our evening walks with the dogs. Spring really is in the air! 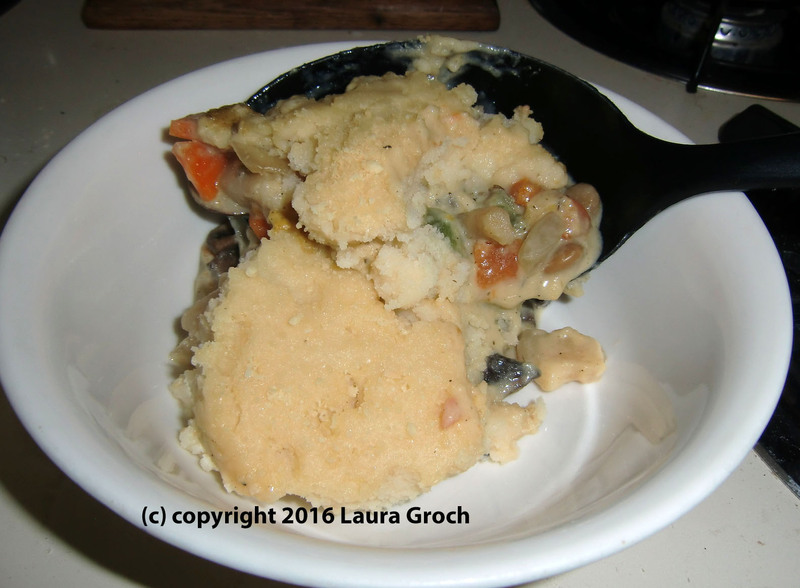 Wet, wintry weather makes me want hearty, hot meals. Soups and stews come to mind, warming the kitchen as they cook and warming the body as we eat. The humble but sturdy shepherd’s pie also fills the bill. This is an easy-to-make, forgiving dish that can be as economical or as extravagant as your budget allows. It’s also extremely flexible: You can use whatever’s at hand without having to rigidly adhere to a list of ingredients, which freaks out some cooks. Necessity is the mother of invention, and sometimes bargains can be the parents of creativity. Especially in the kitchen. I snagged a package of three portobello mushroom caps for 99 cents in the marked-down produce section of my supermarket recently. I knew portobellos were expensive, so this was truly a deal. But if you can’t figure out what to do with your deal, it’s money down the drain. So. Hot. Need. Ice. Cream. With chocolate syrup, of course. 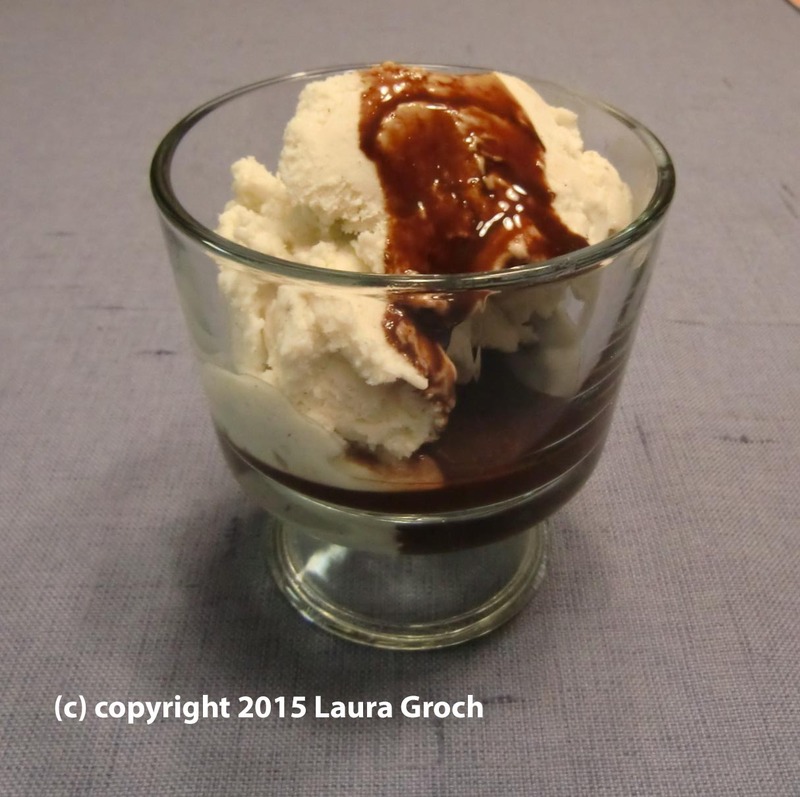 Here’s how to make chocolate syrup on the cheap, and without any artificial ingredients. 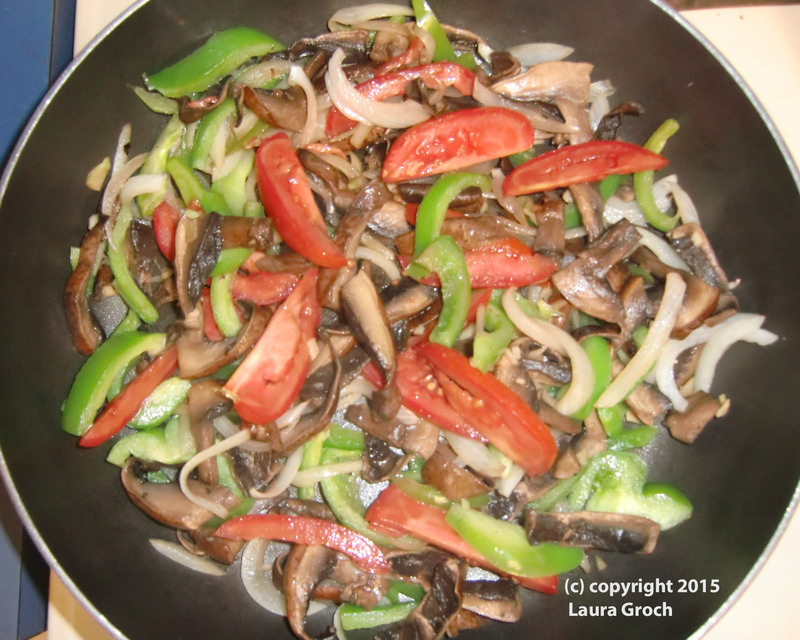 One of the things I like to do in this blog is to offer easier, cheaper ways to make food. We used to call them helpful hints; today they’re called “kitchen hacks.” (Whatevs.) It’s all still about saving money and time, and sometimes making things a bit more healthful.